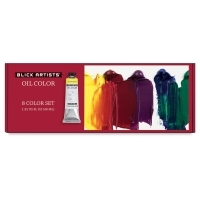 Blick is proud to offer its line of professional, artist-grade oil colors. Qualities of these extremely responsive oil paints include a high pigment load, a dense, buttery feel, and a luminous satin finish. 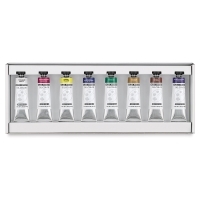 They’re an exceptional value for artists of all levels, particularly for single-pigment colors. * Note — Cerulean Blue is formulated with poppy oil, and Ivory Black, Mars Black, and Sepia are formulated with linseed oil. 8-Color Set — A great introduction to Blick Artists' Oil Colors, this set includes one 1.35 oz (40 ml) tube each of Burnt Sienna, French Ultramarine Blue, Lemon Yellow, Quinacridone Magenta, Titanium White, Ultramarine Violet, Viridian, and Yellow Ochre. To view a PDF of Blick Artists' Oil Paints, please click here. At Blick we pride ourselves on providing artist quality paints at the most competitive price. 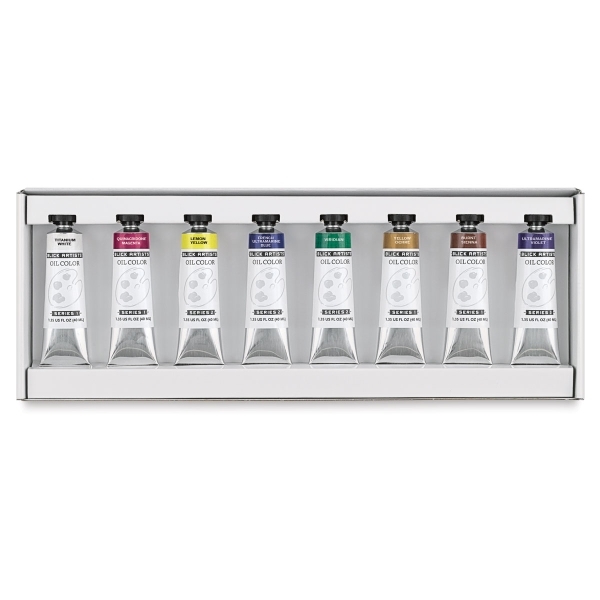 See why our Blick Artists' Acrylics, Artists' Oils and Artists' Watercolors are an excellent choice for any fine artist - even one on a budget!